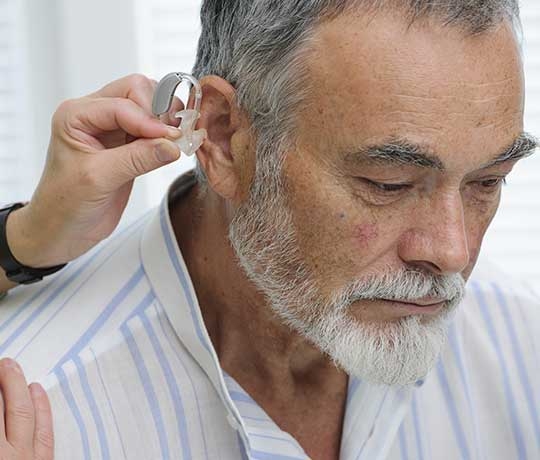 Along with treating all ear disorders, UT Health San Antonio's physicians offer comprehensive evaluation and treatment for hearing loss and balance disorders. Our board-certified physicians provide expert care for all ear disorders, including hearing and balance. We are dedicated to improving the quality of life of our patients and their families using the best communication research and technology available. By thoroughly examining symptom history and conducting a comprehensive testing program, we develop a personalized treatment plan for each patient. Our highly trained specialists provide all forms of treatment including therapy, hearing and balance testing, medicine, noninvasive treatment, surgery, implants and hearing aid sales and service.